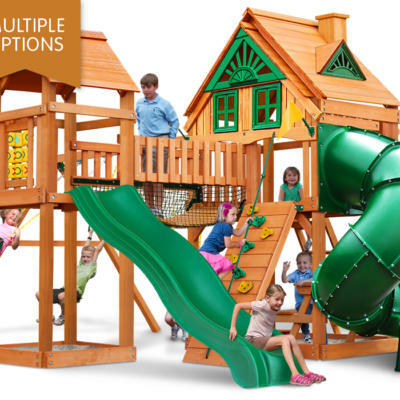 NOW ONLY $2199 AFTER LIMITED INSTANT REBATE! LOCAL INSTALLATION ONLY $299! 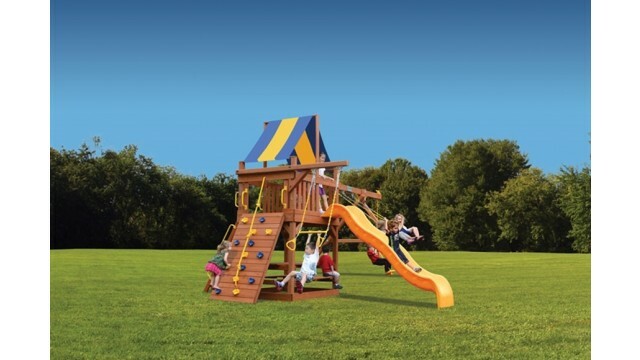 The Playground One Original Fort Nicely Equipped includes all of the excellent options found on the Original Fort but now with a different configuration. 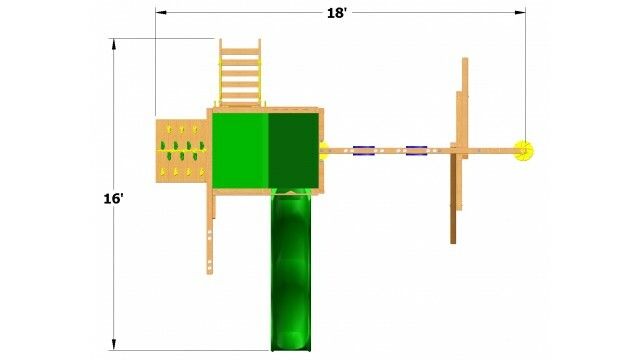 By moving the trapeze bar with rings over to the single accessory arm, you now get the popular rope disc option. 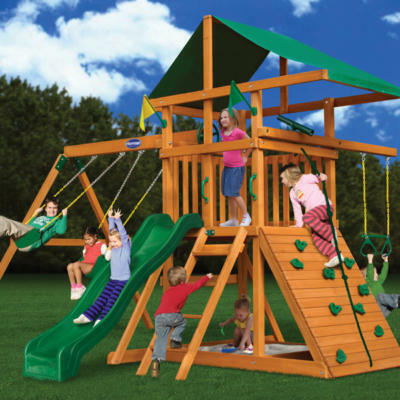 Your kids will enjoy jumping on the rope disc and swinging like Tarzan. 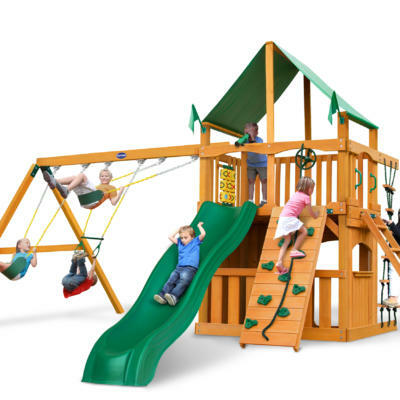 This playset can be reconfigured to accommodate smaller or more compact yards. 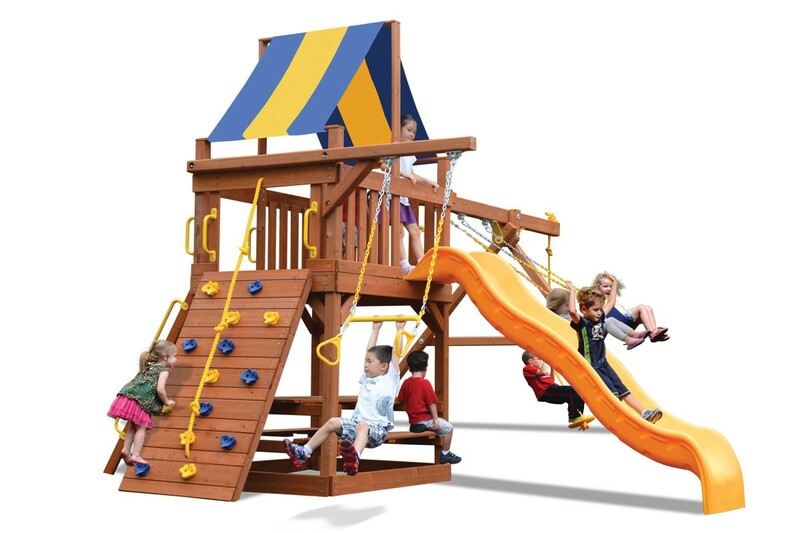 Includes: Heavy duty canopy roof, 10′ wave slide, rockwall with climbing rope, step ladder with handrails, 3 position swing beam with 2 belt swings and knotted rope with disc, accessory arm with trapeze bar, 3 in 1 picnic table, ships wheel and safety handles.